Storytelling isn’t a buzzword these days, it’s the king of content. If you’re not telling stories for your business or organization, now is the time to start. But how do you tell a compelling story? 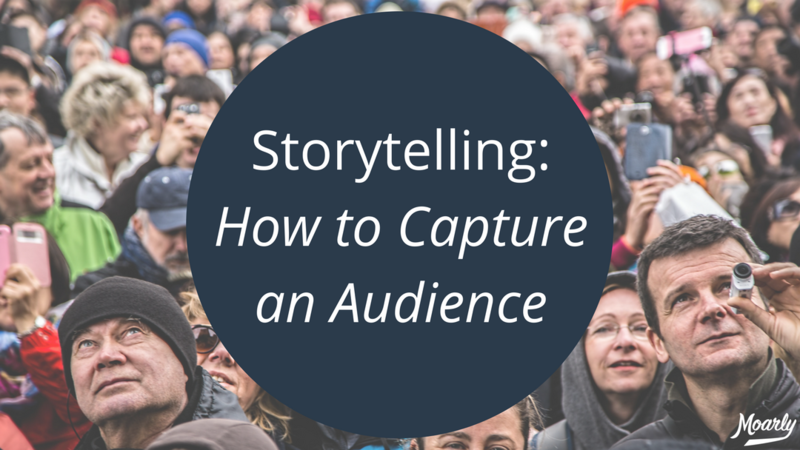 Let’s begin from the top: know how to capture your audience. I recently watched a TEDx Talk with Emmy nominated television producer Matt Chan. He’s worked on Hoarders, Sell This House, Ingenious Minds, and many other television shows and documentaries. In other words, Chan has made a career of telling stories. Chan’s biggest piece of storytelling advice: know your audience. He says a lot of people challenge him when he shares that tip. They argue that a story must have a beginning, middle, and end, and it must also have a point – that, they say, is the most important part of storytelling. Chan doesn’t argue that but he contends that those are a must in storytelling – not a tip. If your story doesn’t have a beginning, middle, end, or a point, then it isn’t a story at all. There’s a common idea in storytelling: start with what you know. But Chan takes that one step further by saying you should start with what your audience knows. We’re all different people with various backgrounds, but we all share many of the same things in common. Find that common ground and use it to capture your audience. Once you’ve hooked your audience (which you have to do quickly), then you can take them anywhere you want. That’s because you’ve engaged them from the start. And now you can keep them engaged with twists, turns, and cliffhangers. Your audience needs to be involved from beginning to end, otherwise they won’t stick around. Take this video for example. We put this story together as part of a series called People of the Plant Floor. At the beginning, the common ground is working in a job that’s not rewarding. That’s something most (if not all) of us have experienced in our lives. It’s something we can connect to. Once the audience is engaged, we take you along the twists and turns of Danny’s life: moving from California to Utah, having a family, starting a career in manufacturing, getting promoted in his company, and then there’s the cliffhanger at the end. What path is Danny going to take? Well, that’s still to be determined. But the story likely leaves you rooting for Danny and his future success. When done correctly, storytelling is an extremely powerful tool. The first step in properly telling a story is to know your audience. Take time to understand who you’re speaking to, or who you want to target, and then build your story from there. Hook the audience early and then keep them around for the entirety. The longer you have their attention, the more successful your story will be. At Moarly Creative, we encourage anyone and everyone to tell stories. Not only that, we want you to share the best stories possible. If you have advice to share or questions to ask, please leave a comment below or connect with us on Twitter, Facebook, Instagram, and Vimeo. You can also learn more video production tips on the Moarly Creative website!